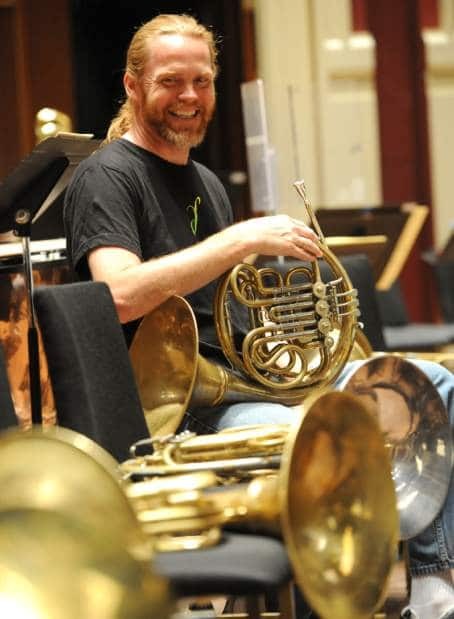 “I was previously in the St. Louis Symphony for 8 years, where my wife Marina and I started our family. We were very happy there, and it was a great 52-week orchestra with a fantastic vibe and wonderful people. In 1999 they went through a painful negotiation which lowered the status of the orchestra significantly, knocking 10 weeks off the season in the process. Luckily for me, a position came open in the Pittsburgh Symphony and I prepared to take the audition. Pittsburgh offered my growing family the chance for a serious improvement in our lives and an artistic shot in the arm for me with one of the most exciting orchestra/maestro combinations in the PSO with Mariss Jansons. All the best, Bob, and your family! I’m very happy the strike is over, and just wish I was in the area. I live in NY now. I hope the outreach continues.